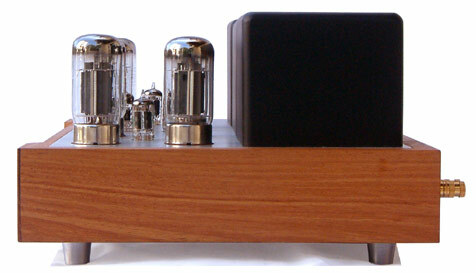 When properly adjusted a push-pull class A (Triode) power amplifier could deliver exceptional sound quality of Single-Ended with massive impact, speed and endless soundfield. 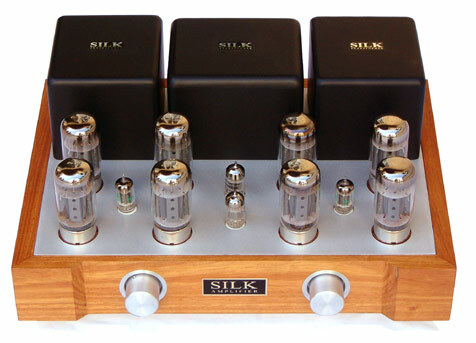 30 watts/RMS output power may seem small in number, but the big authoritative sound this amplifier produces will surprise all listeners. 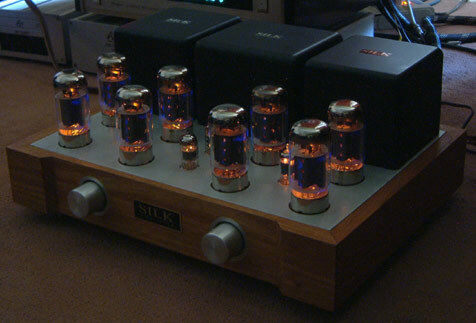 In case user demand more power, this amplifier could be reconfigured to run in class AB1 ultra-linear mode that yields 100 watts/RMS of cleanest power output. All parts were hand selected to produce elegant tone and hard wiring each part together with high quality cable and silver solder. 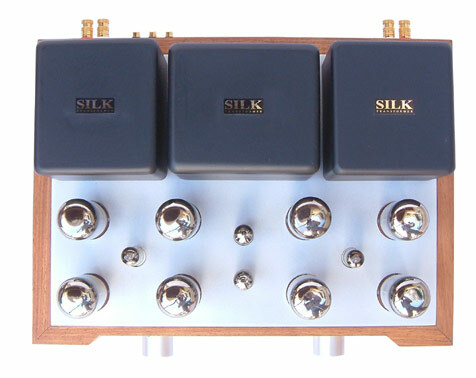 SILK handwound output transformer hidden behind the massive black caset aluminum covers were designed and built with maximum precision (less than 0.5dB tolerance in frequency response). (W) 49 x (D) 37 x (H) 23 cm.